Many of us cringe when we hear the words “call” and “center” in the same sentence. The earliest example of a modern call center dates back the 1960s in the UK. The Birmingham Press and Mail was the first documented example of a Private Automated Business Exchange (the term call center was later coined and first published in 1983). Over the decades, call centers have become synonymous with telemarketing and thus developed a bad reputation. However, the term call center is actually a blanket term for inbound, outbound, and contact service centers – a hub for any client/customer communication. While we may feel the urge to hang up on a telemarketer that calls in the middle of dinner time, aren’t you also glad that you can call a representative 24 hours a day when your internet suddenly fails minutes before a midnight deadline? The point is call centers serve a variety of functions, many of which are to the benefit of you, the consumer. Many companies have recognized the need to invest in technological advances such as speech recognition, virtual queues, and interactive voice response, to name a few, in order to keep up with the growing demands of customer service. It’s also important to recognize that investing in the physical space through improvements and innovations is invaluable to retaining top-performing employees that provide the highest quality of service to their customers. Many call centers industry wide have high turnover rates and are difficult to keep staffed. While no perfect solution to this problem exists, uniting agents in a happier hub that serves as a comfortable and attractive workplace, can definitely help to improve these rates. 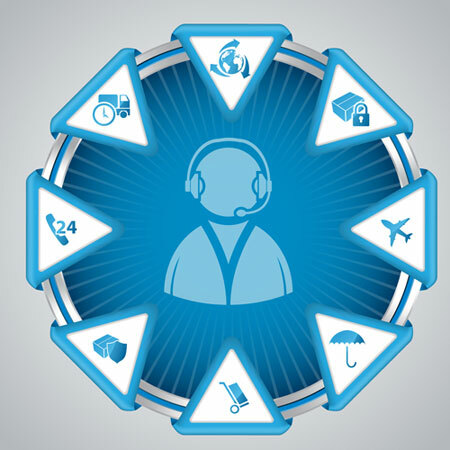 Redesigning your call center is an investment and should be treated as such. We’re talking more than just ergonomic keyboards and comfortable chairs – as with any investment you start with assessment. The design should be based on accurate information obtained from evaluating factors that fall into three main categories; the company as a whole, the individual employee, and the physical space. What function does the call center primarily serve? Customer Support, Lead Generation, Client Retention, Sales/Fundraising, Debt Collection, etc. What hours will your call center operate? 24/7, 9-5, etc. How many agents are employed, and how many are staffed at one time? What is the supervisor-to-agent ratio? How long does the typical shift for an employee last? What equipment does the employee need in order to fulfill his/her function? What time of day does the employee primarily work? Does the employee perform tasks solely on an individual basis? How many people must fit in the space at once? How much space is needed per work station? Is there any natural or directional light? How are the acoustics in the space? Are there any physical obstacles or irregular dimensions to work around? Fitting too many people into a space is all too common in call center layouts. The workstation should be designed to complement and support the agents’ work. Consideration should be given to the amount of computer or other equipment that an agent needs, the appropriate balance between inter-agent communication and privacy, the noise level in the center, and the extent to which supervisors require direct observation of agents. These factors will affect workstation size and design as well as placement in the room. Beyond the functional improvements to a space, the visceral are equally important. Several studies support the idea that an attractive color scheme and ambient lighting can make agents feel positive about their workspace and subsequently improve productivity. One case study revealed that redesigning a call center with new cubicle layouts, wall color changes, and subtle lighting adjustments, reduced the center’s turnover rate from 60% to 17% following the redesign. Happy agents provide better service… end of story. Comfortable employees are also happier employees. A call center should have ergonomic furniture to ensure agent comfort like supportive, comfortable, and adjustable chairs and adjustable keyboards. Use of the same workstations by multiple agents makes adjustable furnishings even more important. Additionally, desktops should be able to accommodate everything the agent needs to do his or her job with perhaps some extra space to allow personalization with items like a plant or a picture. The layout of the call center should allow for smooth traffic flow to any necessary common areas such as break rooms or conference rooms – there’s nothing worse than making a dash for the bathroom and having to dodge poorly spaced pods of cubicles or furniture. Speaking of office pods, consider utilizing clusters, if your company work requires a team approach. Pods still allow for individual agent privacy, but also accessibility when the employees need to assist one and other. Pod, or cluster layouts can be beneficial for companies with specialized teams within the call center that are managed by separate supervisors or team leaders. For companies with a more traditional team-supervisor division, consider going with a classroom set-up of rows to make it easier to oversee more employees at once. Whether you feel inclined to use rows or pods, angles or curves to spice up your space, you’ll want to find a call center furniture provider that understands the importance of design and customization. Interior Concepts has specialized in providing customized call center furniture for the past 20 years. They firmly believe that cookie-cutter configurations can’t serve the majority of modern or agile work environments, and subsequently enlist design specialists to work with each client in order to provide solutions that fit every unique set of business needs. The furniture is customizable down to the inch- meaning that you get a system built just for you! And as if that isn’t impressive enough, all Interior Concepts furniture is MAS® Green Certified and built in the United States, so you can rest assured that your work environment is safe and eco-friendly, not to mention backed by a lifetime warranty. See for yourself all the ways teaming up with Interior Concepts can help build a happier team. Visit www.InteriorConcepts.com to browse products, try out online design tools, or request a design consultation. Investing in a happy and comfortable hub doesn’t have to be a burden; let the team at Interior Concepts help you transform your center today!